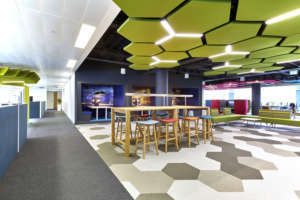 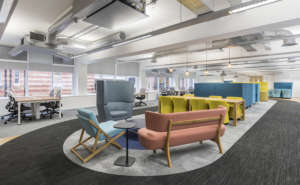 We refurbished GARP's UK headquarters over an eight week period, providing a modern and bright space for their staff to tackle the future of global risk. 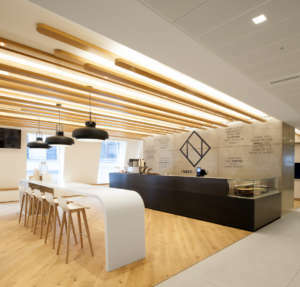 GARP's reception welcomes staff and clients with a modern yet sophisticated entrance space. 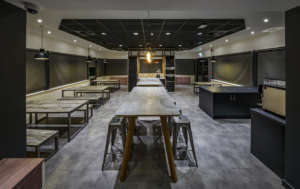 Two-tone slate tiles define a sense of space in the waiting area, while hidden storage is integrated into the wall cabinets. 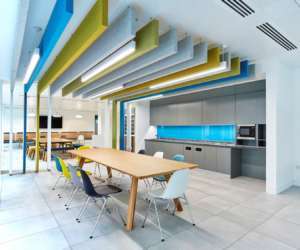 The hanging blue ceiling rafters also not only reflect their brand, but also minimise noise transfer into the open plan work spaces and client meeting suite. 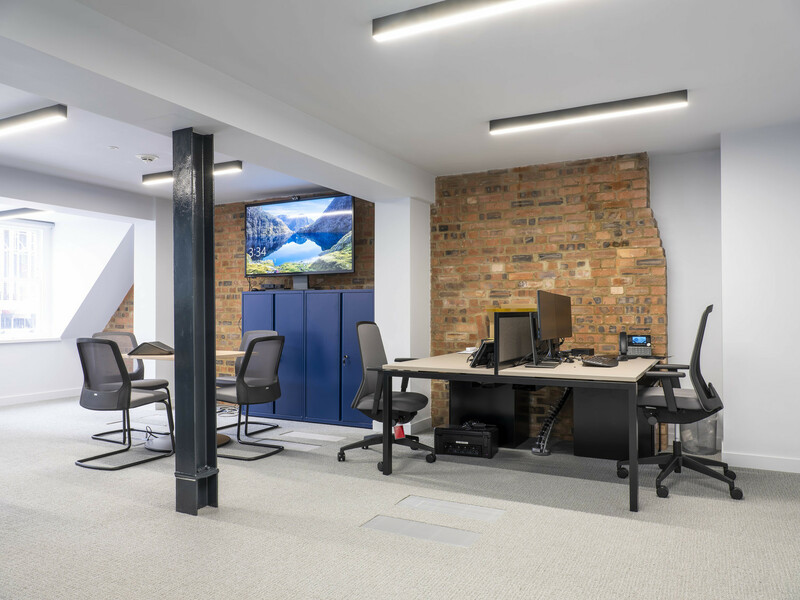 Exposed bricks create a centrepiece for the office space and reflect the heritage exterior of the original building. 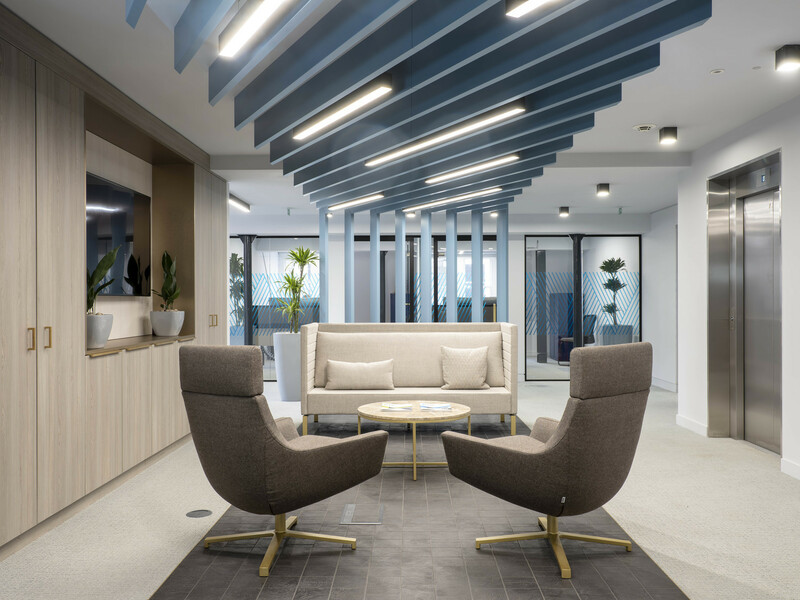 Although access was a challenge due to the building's courtyard location, and the building remained occupied throughout the refurbishment, we were able to do heavy movements and logistics after-hours to minimise disruption to tenants and neighbours. 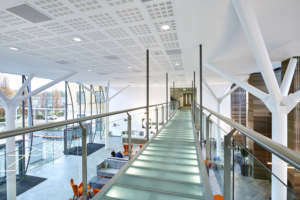 We re-developed the ventilation system to run through the floor void, which eliminated the need for overhead ventilation bulkheads. 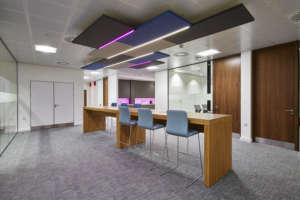 This not only saved the client money, but also opened up the space to provide more natural light and height - creating a better overall workplace experience. 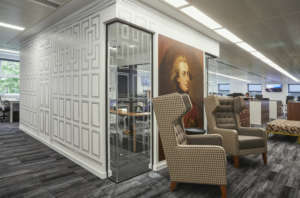 Situated next to the reception area, GARP's meeting and offices suites feature floor-to-ceiling glass walls. 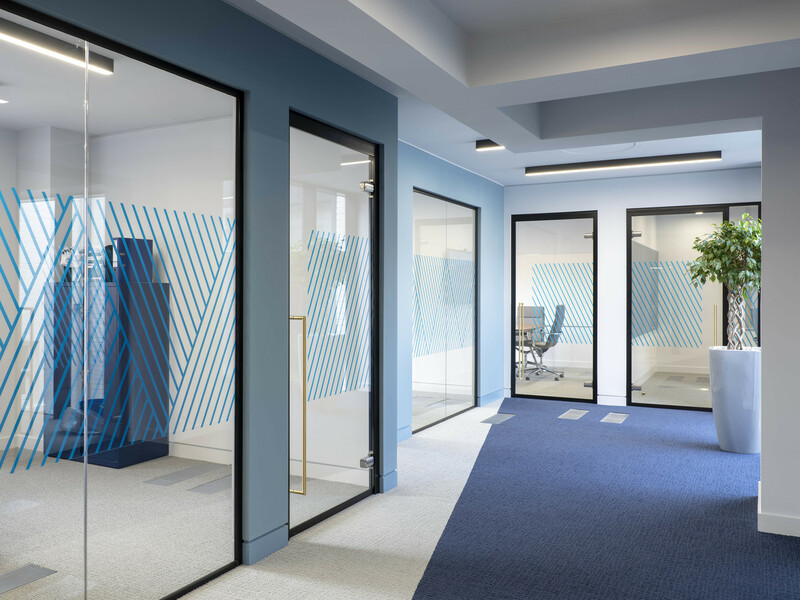 For added privacy and visual accentuation, the glass has been treated with blue zig-zag decals, visually linking them to the ceiling rafts used in the reception space.